Crockett junior pitcher Kara Weems takes charge in the circle for the win against Cherokee for the district title. 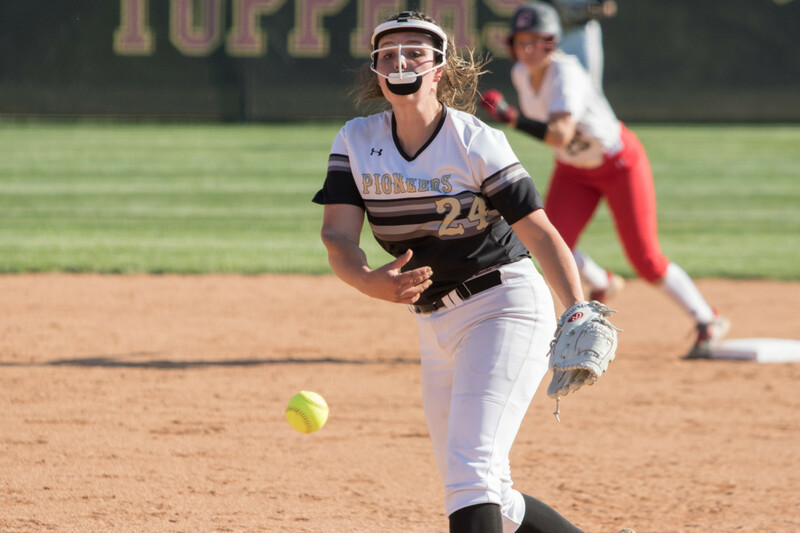 The David Crockett softball team’s historic season came to an end with a home loss to Morristown East in the Region 1-AAA semifinals Monday in Jonesborough. The Pioneers were Big Seven Conference co-champions (with Daniel Boone), District 1-AAA champions and hosted a regional game for perhaps the first time since 1989. They finished the season with a 33-11 record, which is all but certain to be a program record for victories. But they ultimately fell, 9-7, to the talented Hurricanes. Freshman Sarah King’s grand slam gave Morristown East (29-5) an 8-4 lead in the fifth and Crockett eventually faced a five-run deficit before battling back to make it interesting. The Pioneers also rebounded from a 4-0 deficit to tie the score. Crockett’s four-run fourth was fueled by Suits’ RBI single, Weems’ two-run double and an RBI from Matty McKee that tied the score. Kat Pfeifer was 2-for-2 with a walk in the Pioneers’ season finale. Seniors Reagan Miller and Lenzie Jenkins were each 2-for-4, as was Suits. Miller and Jenkins, the respective shortstop and second baseman, are seniors. So is catcher-center fielder Sydney Fox, who led the team with a .455 batting average this season. Miller hit .444 and Jenkins batted .385. Miller and Fox have signed to play at Walters State. Crockett senior and Walters State signee Reagan Miller proved to be a senior leader this season for the Lady Pioneers. Junior Kara Weems pitched a shutout as Crockett defeated Cherokee, 4-0, in the district tournament championship game. Weems was named MVP. The victory came a day after Cherokee had forced an extra game with a 3-2 victory. Crockett defeated rival Daniel Boone, 14-6, in the winners’ bracket final of the district. Freshman Riley Hope had three hits and four RBIs in that one. Coach Weems said the season didn’t get any better than winning a district title, especially after Cherokee had won the previous day to force an extra game. 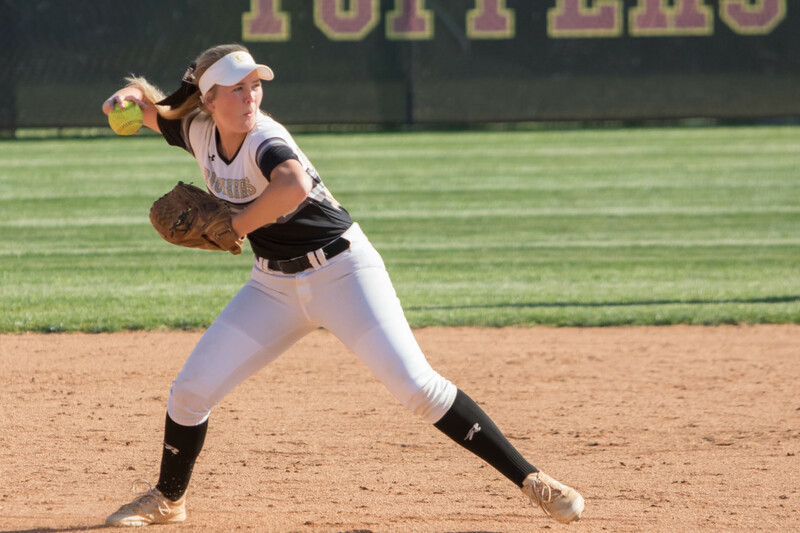 Crockett had an exceptional freshman class this season and its ace on the mound, Weems, will be a senior in 2019. Freshman Mackenzie Baldwin doubled and drove in two runs in the regional loss. So was Coach Weems, who noted Crockett piling up 11 hits against talented Morristown East pitcher Emma Frost. Crockett went to the state tournament when Weems was a junior in 1988 and returned to the sectional her senior year in ’89.